But here's one thing you can't do: vote for elected officials. A major reason people don't vote is because they can't get to the polls, according to John Patrick, author of "Election Attitude: How Internet Voting Leads to a Stronger Democracy." "This old system does not accommodate the busy people we are today and the people who are sick, in nursing homes, [or] in the military," he said. "There are a hundred reasons why people can't vote." But that doesn't mean Americans will be tapping smartphones to elect officials anytime soon. Some voting security experts are wary of applying the technology to major elections. "Smartphones and laptops aren't secure, and at this point, they can't be made secure," he said. "People could be tricked into something that's malicious." Related: Forget bitcoin. Here come the blockchain ETFs. 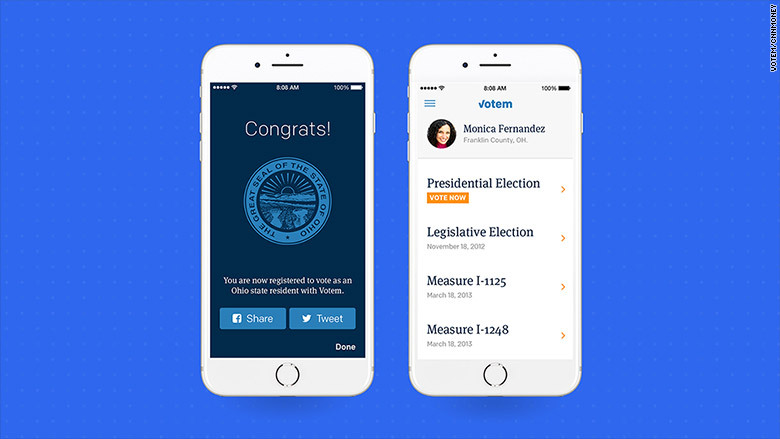 Votem allows users to register and vote via its mobile app or a desktop computer, and then serves up a ballot. The system creates "nodes" from mathematical algorithms to determine the ballot's legitimacy. For example, the nodes examined if the vote came from a bad IP address or if it's a real voter. "[As of today], you still have to physically go to the polling place and fill out a paper ballot" Pete Martin, Votem's CEO and founder, told CNN. He said replacing the current process with newer technology will only make a "bad process faster." "This industry is very resistant to change," Votem's Martin said. "The risks are incredibly high for getting this right. There is nothing more fundamental than a fair voting system." "Online voting for government elections is a horrifically bad idea," said Joseph Lorenzo Hall, chief technologist at the Center for Democracy & Technology, a nonprofit that promotes an open and free internet. "The internet, and more importantly the devices we use, are completely insecure." Although Joe Kiniry -- CEO and chief scientist of Free & Fair, a company focused on election technologies and services -- says blockchain voting could potentially be a useful solution for private elections, it's a risky method for government elections with a lot at stake. "Internet voting and blockchain are all about putting voters and computers directly on the internet to run an election. It's putting the tastiest target in the world politically directly on the threat vector [of] all these bad actors out there," Kiniry said. "We have to assume they will use their most advanced technology and capabilities to threaten that election." Some experts like Stanford's Dill believe paper ballots are the best voting method for now. He also advocates for auditing the results by taking a random sample and counting those votes by hand to double check the results. 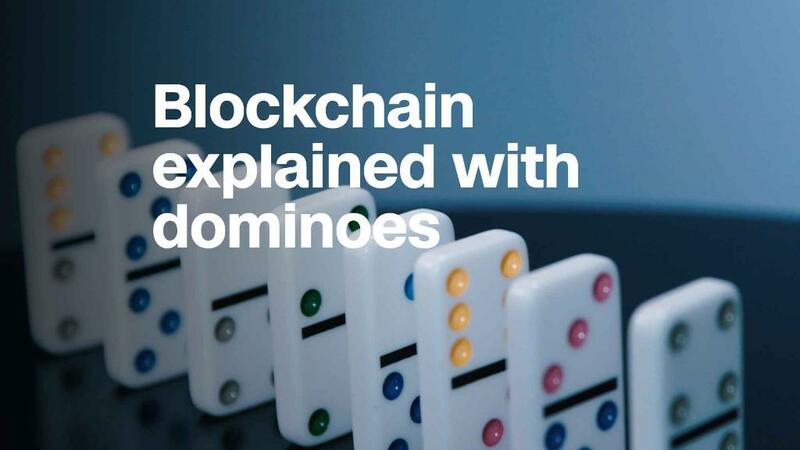 "Maybe internet or blockchain voting could be the thing at some future point, but it's not ready for prime time yet," Dill said.